Seamless paving stone texture that you can download for free. The stone pavement tiles have a honeycomb pattern. You can use this seamless high-res floor texture in different projects. Add texture to a floor in 3D modelling projects using this pavement pattern. Also you can use the seamless flooring texture in Photoshop as pattern. 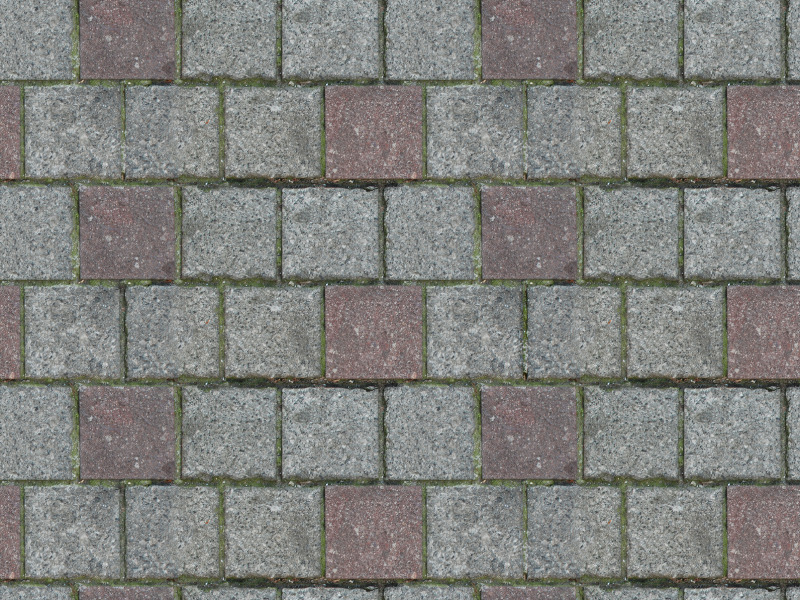 Seamless pavement texture in high-res that you can download for free. Create a paving ground floor with this seamless stone tiles texture. You can use this outdoor paving texture as pavement pattern for Photoshop. Go to Edit > Define Pattern and save the seamless pavement texture as pattern in Photoshop. Solid hardwood floor texture that you can download for free. Use this seamless wood floor to create any size image. This is actually a photo of an old antique wood floor. I took the wooden tiles floor image and made a parquet seamless texture in Photoshop. You can easily create a seamless floor texture using the Offset filter. With this technique you can create any type of floor texture tile that is seamless and can be used for any canvas size. Semi-circle cement paving texture made from cement and little pebbles. This is a pavement texture for Photoshop that you can download and use for free in any other project. The paving stone texture is a half circle pattern with concrete and gravel. This free brick floor texture is seamless and tileable and can be used in commercial projects with attribution. The bricks floor texture can be used for creating pavement backgrounds.